Maternity photography is an art! The art of posing and bringing out the beauty of you! I pride my whole process as being more than about just photos. It’s an experience from start to finish. I want you to be able to try on as many maternity dresses as you need to find the perfect one that reflects your dreams and personal style. Your session should be enjoyable and just as rememberable as the photos you will have as a keepsake of this time in your life. The best compliment I’ve received from my clients is about how much fun they have during the session and this includes the guys! 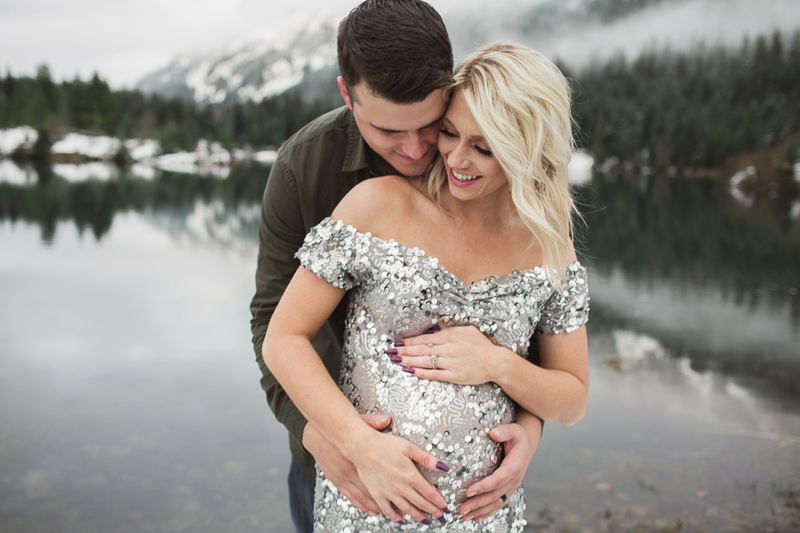 I am skilled at posing you to show off that beautiful baby bump and in capturing the connection between you and your significant other. Once your photos are completed we do an in person or online gallery reveal. Seeing your reaction is something I value because capturing this moment for you is just as much as a dream for me as it is for you to see and experience the beauty of your pregnancy! I am recognized in the industry and locally as a top maternity photographer. For several maternity gown designers I photograph their gowns to promote their designs and I am a brand representative for a dress rental company so they can use my photos to showcase their dresses. Personally I invest in providing an exclusive selection of gowns for my maternity clients. Specializing in maternity and newborns I stay up to date with trends and training in maternity posing. You will have one of the best selections of gowns to wear for your session and a trained and experienced maternity photographer. For maternity my style is elegant and classic. Whether you love the over the top glamour sessions or are down to earth and classic that is what I love to capture. I have a full studio for intimate studio sessions or I am known for going to stunning picturesque locations in the PNW. Newborn photography is more then just getting pictures of your precious bundle of joy. These are moments that pass by with a blink of an eye. Those first few weeks of welcoming your new additional are moments you will treasure and want to remember as your baby grows into a loving child. That awe and connection you feel just staring into the eyes or even just as your baby sleeps is a gift you will cherish forever. You are hiring a photographer that you will trust with the safety and experience in handling your baby. Newborn photography is an art, a skill and a professional that requires training in newborn safety and posing. I started in newborn photography in 2014 and have invested my time and training in specializing in maternity and newborns. This is beneficial to you as I provide everything and you can trust that you and your baby are in great hands! My style is classic and timeless. I love soft neutrals with pops of color that are tailored to each baby to either compliment his or her nursery or match the colors in your home. I look forward to creating beautiful artwork you and your family will value for years and generations to come.